Just putting together a really quick post to update folks on the events I was able to get to over this Mayday weekend. 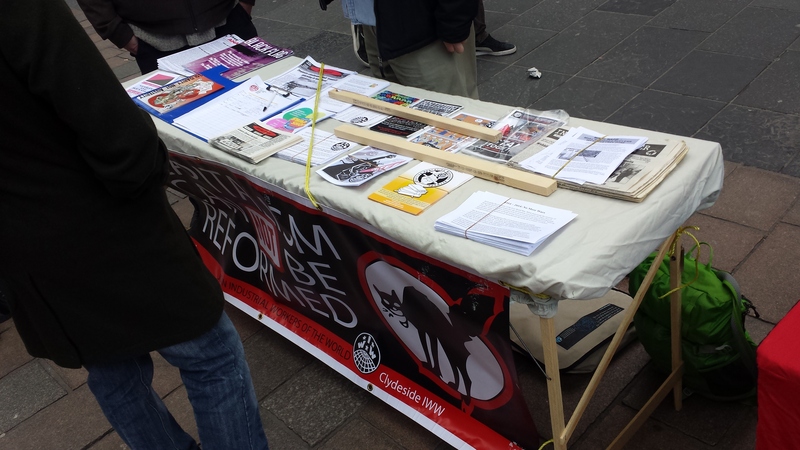 First up where the stall on Mayday itself, where a good number of the cities anarchist and libertarian groups came out and set up a stall, linking the history of working class struggles with the struggles in the here and now. 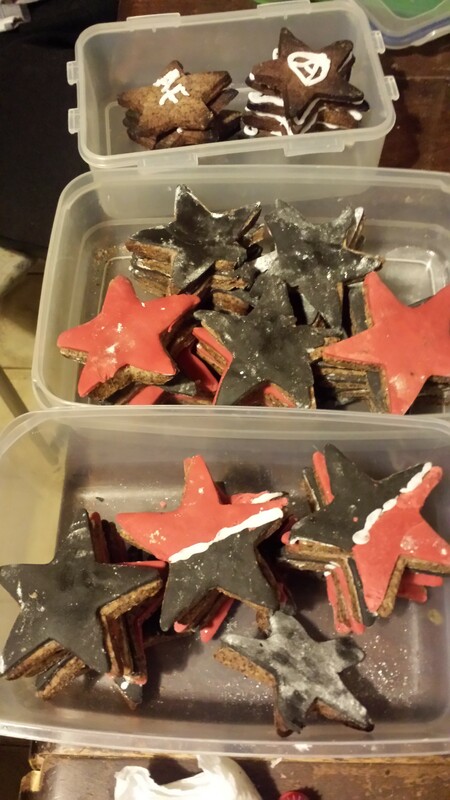 For our part we made some red & black biscuits and put out some publications, stickers and badges to help raise forms for the Baltimore Bail/Legal fund. 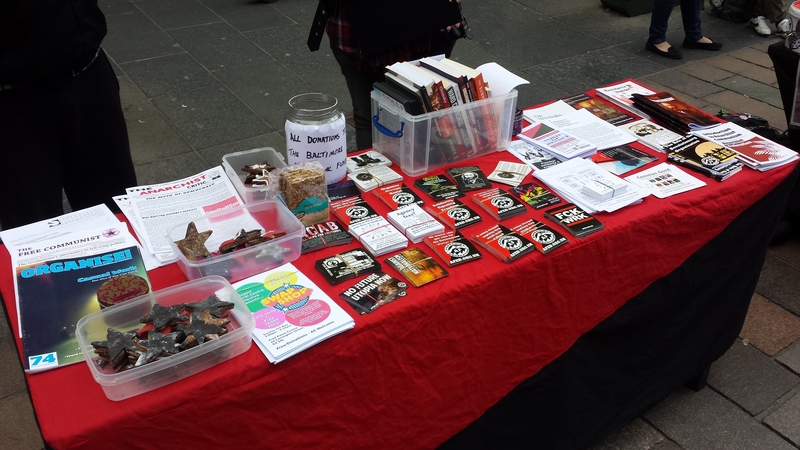 Working folks in Glasgow were keen to show their solidarity with those fighting white supremacy in the streets of Baltimore and the generous donations raised $161.62 (a bit over £100). Thanks to everyone who said hi during the 3 hours we were were in the street! Later that night the good folks from Critisticuffs (writers of the libertarian communist journal Kittens) had come up from London to give a seminar to examine the function of elections in capitalist state society. We’ll try to get a full review of the event up shortly. Finally, on Sunday evening I was able to drop in to the end of the second Glasgow Social Centre pop-up event, a free shop with food and music. While things were winding down as I arrived just close to 6pm it looked as if the day had been a success, with everyone who attended getting well fed, the swap shop still having lots to rummage through, and the event having made a bit of money to towards getting a permanent social centre up and running. 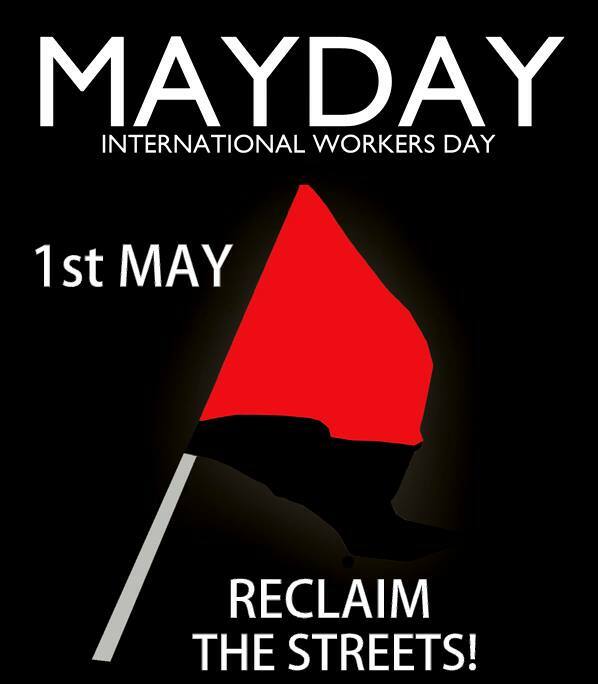 It’s Mayday, so skive, shirk, struggle, resist, and most of all organise for social revolution! 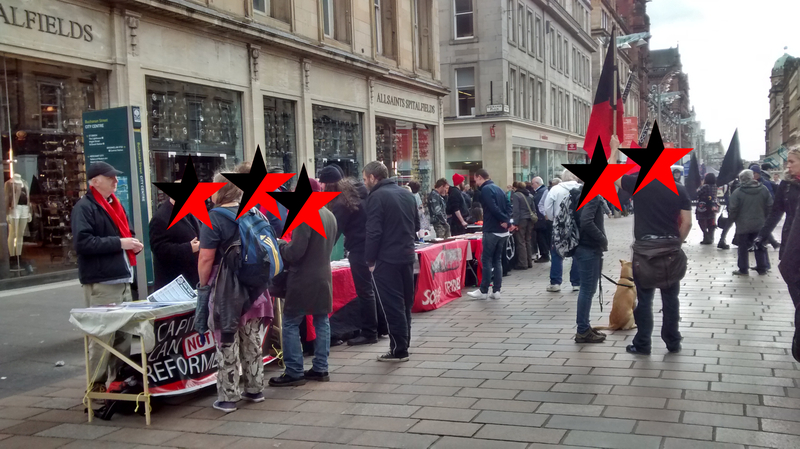 We’ll be out on the junction of Buchanan Street and Gordon Street from 12:30 along side Clydeside IWW, Glasgow Solidarity Network and a host of other groups & campaigns with their stalls and information to mark the day and highlight working class struggles past and present. For information on the origins of Mayday check this out. 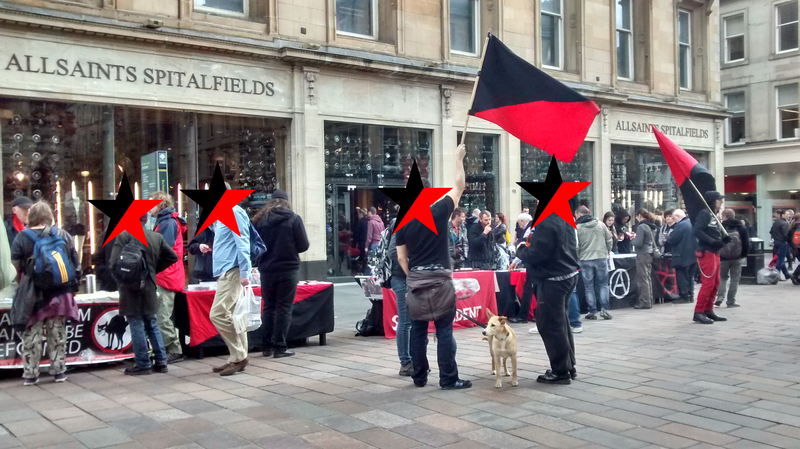 This May 1st Glasgow Anarchist Federation, Clydeside IWW, Glasgow Solidarity Network and a host of other groups & campaigns will be out with their stalls and information to mark International Workers Day and highlight working class struggles past and present. 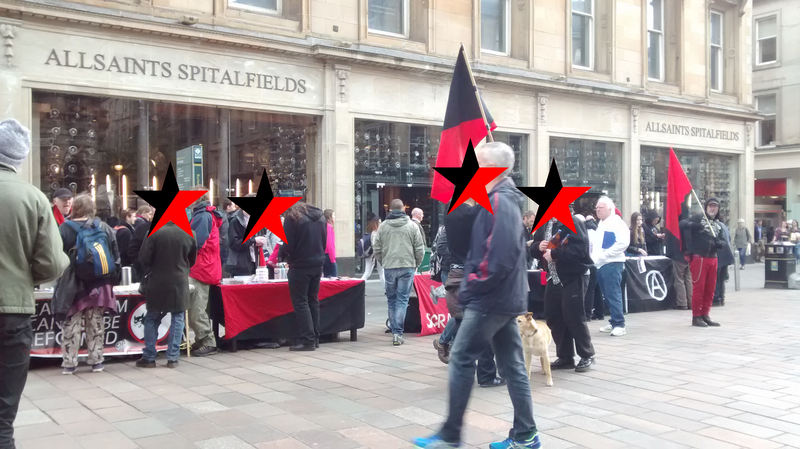 You will be able to find us at the junction of Buchanan Street and Gordon Street from 12:30 in the afternoon. Come along and say hello! Click Here for more information on the origins of Mayday. 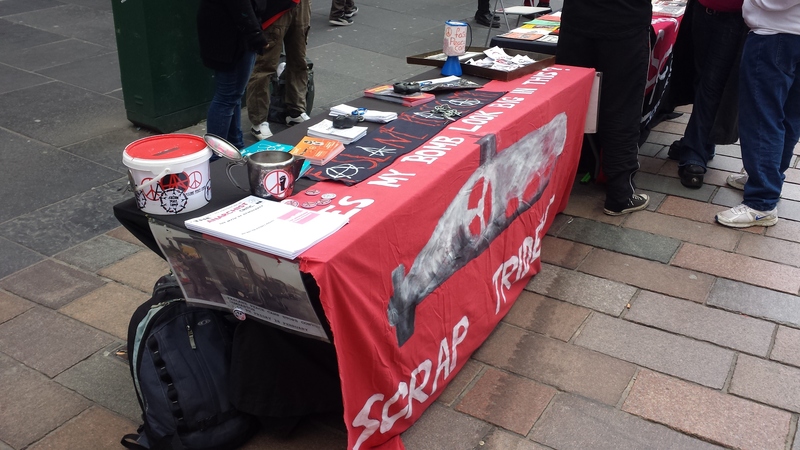 We’ll have a street stall at St. Enoch Square 1pm-3pm Saturday 23rd February. 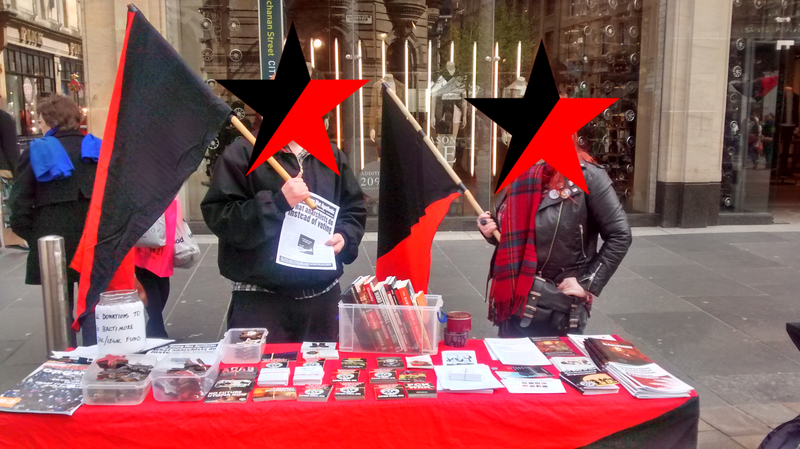 And after (from 4pm) will meet up at Mono, King Street, to plot for next Mayday activities – look for “Mayday” sign on a table to see us there. This year marks the fortieth anniversary of the spectacular events of the 1968 Paris uprising. May and June of that year saw over 9 million French workers on strike allied with rebelling students of Nanterre and other universities.